I am a HUGE, huge fan of Artis and use the Oval 8 and more recently Oval 6 brushes every single day. The brushes are pricey on their own and their branded cleaning pad is just an added expense. 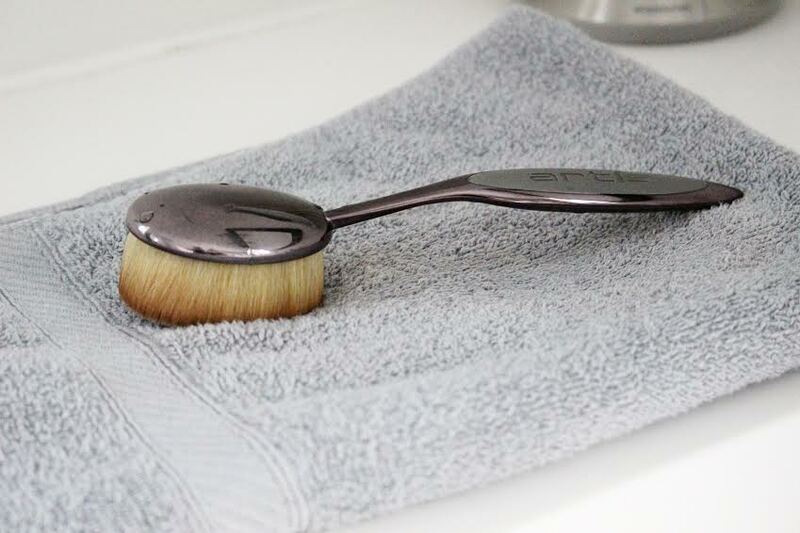 Finding rave reviews on Artis is easy, but finding solid information on how to properly clean them without having to buy their $55 cleaning pad + $25 cleansing foam isn’t. I’ve used the below methods to thoroughly clean my brushes for the last several months and my brushes still look and feel as they did when I first got them. 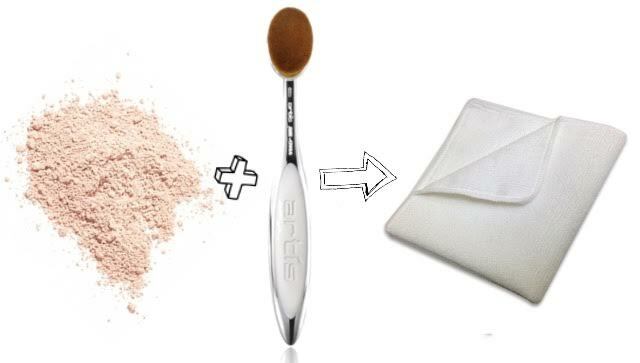 When using the brushes with powder (ex: oval 6 with contouring powder) just gently wipe it off on a soft microfiber cloth after each use. No additional product or water needed. 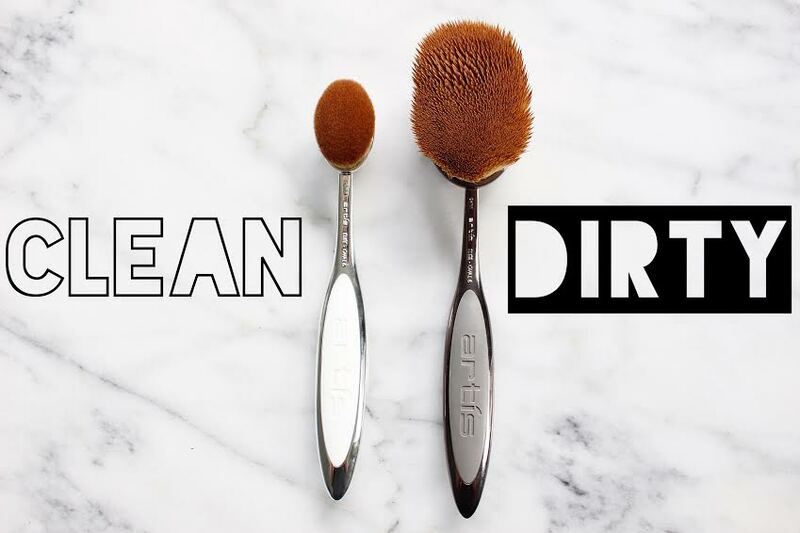 If you use your brushes for liquid makeup (ex: oval 8 for liquid foundation) follow the steps below to thoroughly clean your brush in minutes with minimal effort and zero expensive tools/cleansers. 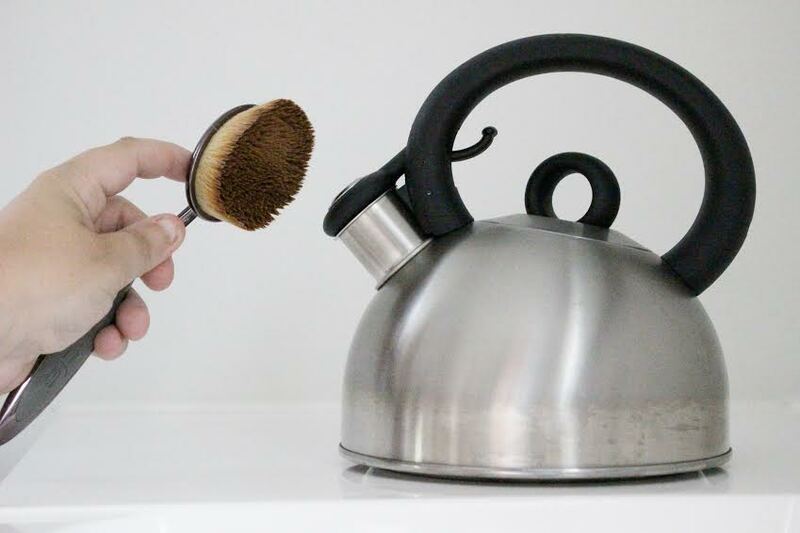 Run warm water over entire brush head while holding the brush with one hand and using the palm of your other hand to gently rub the CosmeFibres in circular motions. Do this until all of the residue is gone about 20-30 seconds. I don’t do this daily only once a week or so. Lay your brush out to dry. Because the brushes are so densely packed, it could take up to a few days to completely dry. Mine takes about 24 hours and I leave them face down so any excess water leaves the brush and goes right on the towel. If the brushes shape isn’t totally back to it’s normal state, don’t panic! Use the steam from a teapot to help smooth, mold and reshape the fibers. Disclaimer: This is my personal method and results are based on my own personal use. This is so important! Love this post. Thank you! I think so too – it’s how I clean my brushes without buying their expensive cleaning system!! Definetely! I would love if you could check out my blog! Love your style.